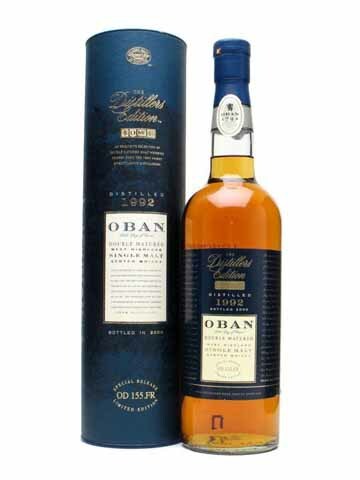 Oban Distillers Edition 1995 (43.0%): This is the second Distiller's Edition of Diageo I am writing about after Caol Ila 1996 which I liked very much. Oban has never been whisky enthusiasts' favorite distillery but it was always kind of special for me. Oban 14 with Laphroaig 10 was one of the first single malts which started my whisky obsession years ago in Istanbul. So I am pretty excited about this bottle. It is distilled in 1995 and bottled in 2009 after getting finished in ex Montilla Fino Casks. Color: Dark copper, clear chestnut honey. Nose: Sweet raisins, Zante currants, sultana cookies, orange jam right at the beginning. Mild briny sea breeze I would expect more from Oban at the first place follows a little after. Palate: As sweet as it can get. This is a sherry blast in your face. Anything you can expect from an over-sherried dram, sweet, rich and thick. Raisins again, crushed grapes, vine leaves are covering the mouth at the first place. 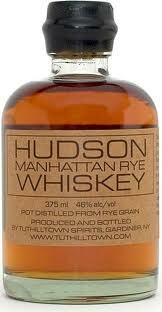 Malt, dark chocolate, nutty tones and very enjoyable apricot notes comes after as a second wave. Sherry influence covers the salty and mellow peaty character of Oban a little too much I think. Finish: Here we go... The sweet sourness from Fino leaves with a little salt on the tongue, some spice and also olives. Those olives made my day. Very long... I liked it. Overall: I have mixed feelings about this dram. It is a really nice sherry finish but I think I couldn't see it coming and got caught a little unprepared. No doubt Oban and Fino go fine together but I think I would like to have a little more salt and peat. I am not disappointed at all but I will need some time to get used to it. Another good cigar or after dinner dram I have to say.